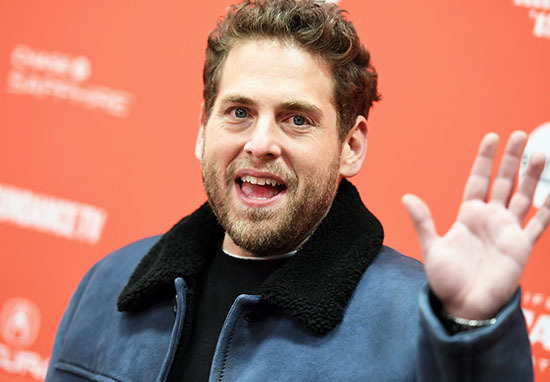 He’s a man of ever-changing evolution the likes of which hasn’t been seen since Karma Chameleon, but now Jonah Hill has pink hair and (some) people are actually beside themselves. After a weight loss transformation good enough for Gillian McKeith, Jonah Hill has clearly started feeling himself and upped the streetwear ante with his new fashion choices. It’s a hit across the board with the Instagram jury majority, who said it looked like Hill had just discovered Kanye West‘s music. One commentator with the handle @alifomahfix dubbed Jonah their ‘style icon’ while @evyanwaltersomg think his new hair cut and colour job looks ‘so beautiful’. A string of women have compared Hill to a ‘snack’, which apparently means they fancy him, rather than mistook his new vibrant pink shade for a sweet treat – a popsicle or foam shrimp perhaps – to eat, as initially assumed. I have it on good authority he’s becoming a bit of a ‘hypebeast’. Someone get this woman a meal. Other Directioners have claimed Jonah stole his new look from former boy band member, Zayn Malik – who conversely stole it from wannabe mermaids and neo-goths everywhere. @vanessa.rxnee even tagged @zane to say, ‘he literally snatched your wig’ followed by a bunch of exclamation marks, all the while totally misunderstand the meaning of the word ‘literally’. However, seasoned hair styling pros can obviously see Zayn opted for lilac over Hill’s plushy pastel pink. D’uh. It seems Jonah’s new style has divided the opinion of the masses who care to commentate on the comings and goings of A-listers and their hairdressers. Didn’t make this sign but very glad I found it . Meanwhile, @dan_polski thinks Jonah is ‘Chasing that relevance’ and @vanshika08 just thinks this is what happens ‘When the weed finally kicks in’. Whatever you think about the hair, you’ve got to admit his new ink is pretty fresh. Bearing the shaved patch of un-hairy arm like a man straight out of the studio, Hill showed off his new tattoo of a cowboy hat-wearing skull. As the son of Sharon Feldstein (nee Chalkin), a fashion designer and costume stylist, Jonah’s expert style judgements shouldn’t come as too much of a surprise. But after playing a series of characters who preferred bowling shirts, it’s nice to see art doesn’t always reflect life. Apparently the adages has been try all along: Pink does make the folks of Twitter wink, after all. If you’re more keen to see Jonah on the silver screen than on the ‘Gram, he’s voicing Snotlout Jorgenson in How to Train Your Dragon: The Hidden World which is currently being filmed.